Mulching is one of the cornerstones of good land maintenance and care and provides a beautiful look with a very functional purpose. 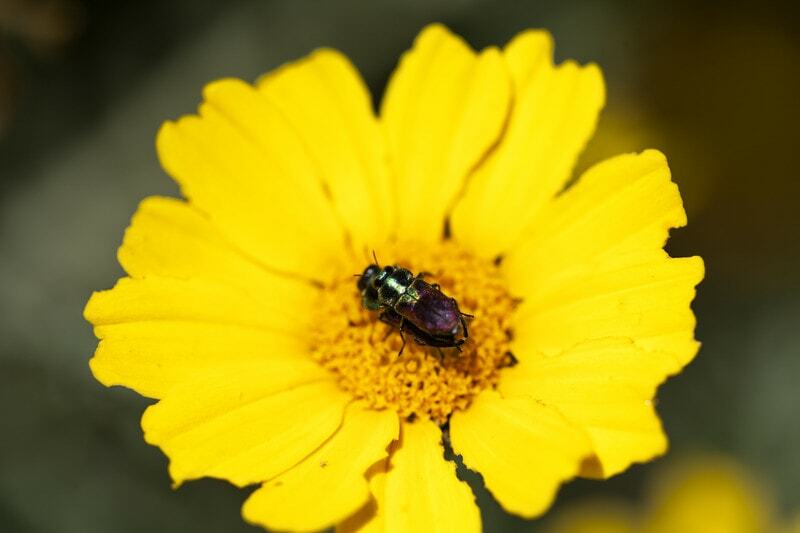 A good flower bed or properly cared for lawn is nothing without a good mulching at the right times of the year. Using mulch is not as easy it may seem. It gets heavy, there are lots of different types to choose from, and it can be difficult for labor-intensive work. Fortunately, we have some very useful tips and tricks for dealing with all your mulching needs. By far the most common tip any experienced landscaper will give you when trying to spread and handle mulch is to use a tarp. In order to get lower prices and the right volume of mulch, most people have mulch delivered to their house via a large truck. Laying some tarps down in the driveway to have the mulch dumped onto is great for handling the mess. You can also use tarps to more easily transport piles across the grass to different flower and tree beds. With your mulch pile in a tarped spot in the driveway, you can then employ the use of the proper simple tools. A wheelbarrow will serve as the go-between the pile and the beds, just remember to not overload it. It’s best to take your time and handle weights and movements that you’re comfortable with. 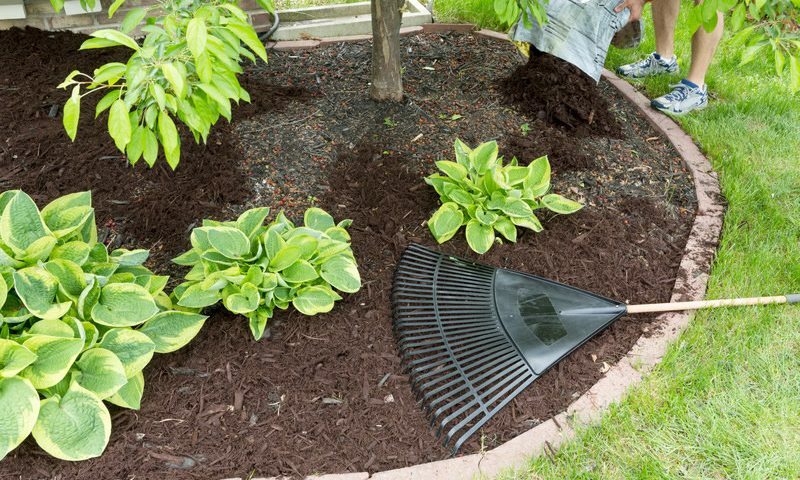 You’ll want to try both a fan style hard plastic rake for spot raking the top and metal straight rake to spread the actual layer of mulch. Color and chip size are generally just personal preference choices that have little bearing on the logistics. Organic mulches will decompose quicker and therefore will require more replenishment versus your standard mass production mulches. However, you can greatly increase the health of your yard by adding nitrogen to the soil before you lay down mulch, increasing the longevity of either organic or standard. 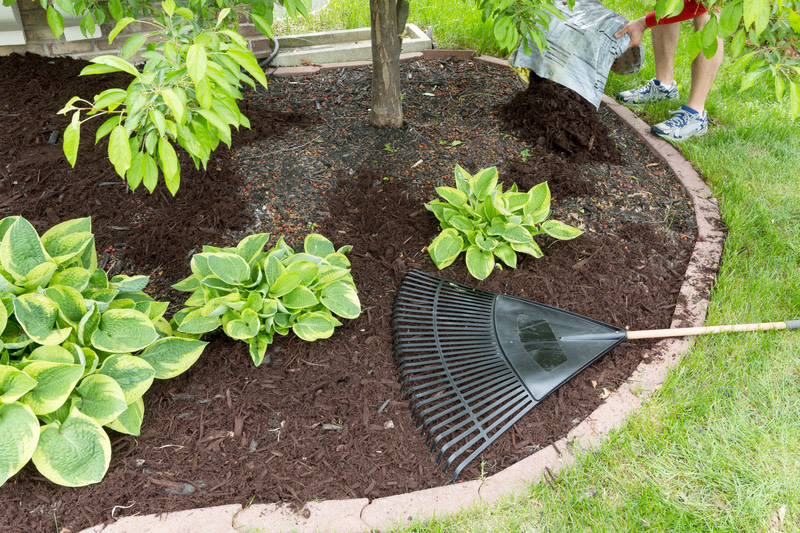 To keep mulch healthy and vibrant it’s important to keep up with it in a timely and seasonal manner year-round. 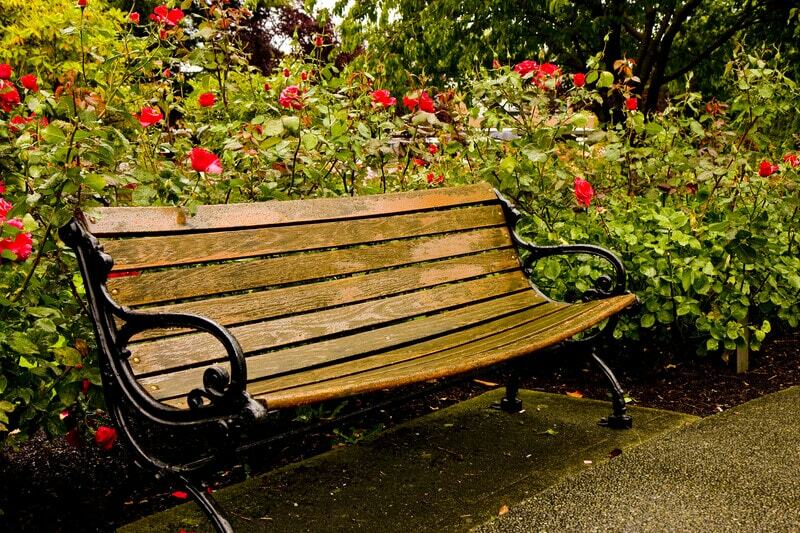 The different growing seasons associated with your area will stress and use up the mulch you lay down. Using fabrics and plastic liners below your layer of mulch is often used to prevent weeds, but usually, this is a temporary solution and requires expensive upkeep. It can also make future landscaping changes more difficult. Instead, keeping your mulch watered along with the other trees and plants in the beds will help keep root structures and soil healthy naturally promoting weed control. Getting your mulch layer thickness just right is crucial for promoting growth and increasing the life of your mulch. About 2.5’’ to 3’’ is good depth to aim for. 1’’ and below is too little and over 4’’ is too deep. 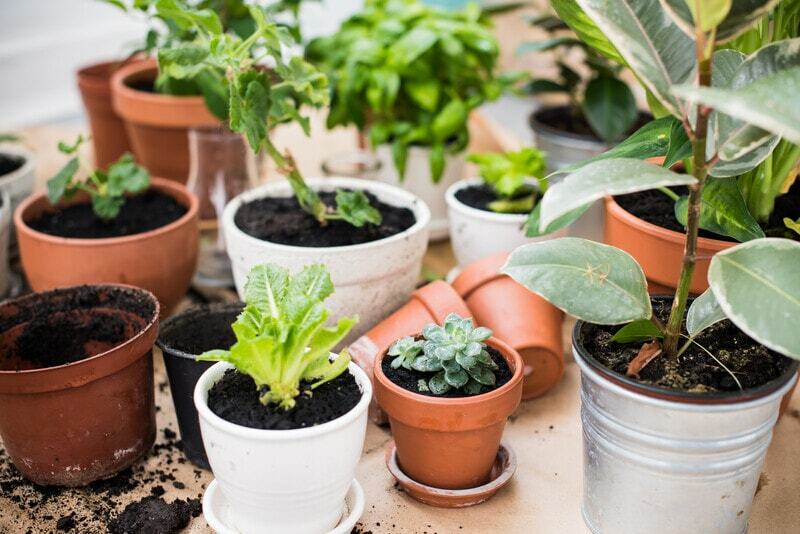 Finally, remember to give some room around the bases of your plants, you don’t want to go right up to the main stems and stalks.